SAN FRANCISCO -- Ride-hailing startup Lyft is adding Magna to its long list of investors and partners to deploy self-driving technology. The Canadian automotive supplier will invest $200 million in the tech company to co-develop a self-driving system to integrate into light vehicles. The partnership is one of many Lyft has formed with automakers, suppliers and other tech companies since it announced its self-driving efforts in July. "We don't want just one or two companies in the world to access self-driving technology," Lyft CEO Logan Green said in a web broadcast to reporters Wednesday. 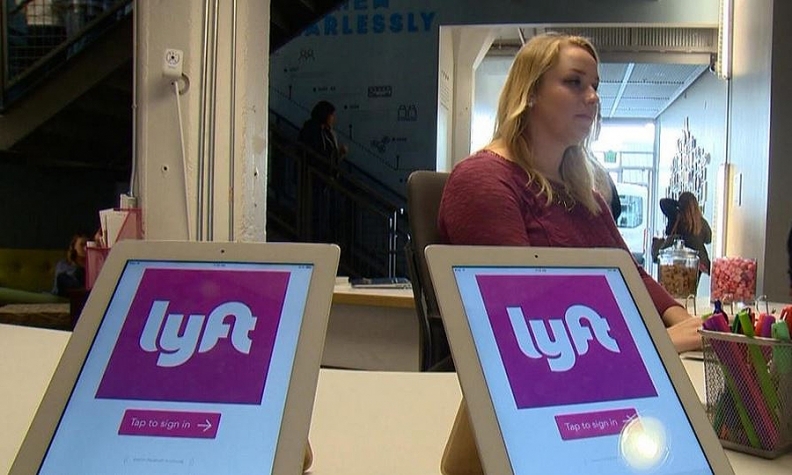 "We want every OEM to be able to access the technology and be able to use the Lyft network." The San Francisco-based company, which opened a self-driving r&d center in Palo Alto, Calif., in July, will be responsible for developing the software for the autonomous driving system. Magna will manufacture and integrate the platform into vehicles. The companies did not disclose a timeline for when the technology will come to market. Green said automakers who use the platform will not be required to use Lyft's already existing ride-hailing network. Magna also said it will supply Lyft with high-tech kits to turn vehicles into self-driving cars, but will not manufacture autos for the ride-hailing service. “As we work with Lyft, hopefully that brings for us an opportunity to potentially do more with Lyft as well as others in this area,” Magna CFO Vince Galifi said in a Thursday morning call with financial analysts. The jointly developed self-driving system is expected to be on some of Lyft's fleet in the next few years, Magna spokeswoman Tracy Fuerst said by email. Magna shares rose 5.3 per cent to US$56.09 in midday trading in New York. Lyft and Magna will jointly own intellectual property developed through the new venture and Magna will be Lyft’s exclusive supplier of self-driving car kits, Magna Chief Technology Officer Swamy Kotagiri said. Those kits -- which are used to convert ordinary automobiles into self-driving cars -- include cameras, radar and lidar systems that use light pulses to gauge a vehicle's position on and near the road. The kits could also be sold to other parties besides Lyft, Kotagiri said. Revenues from the deal are not expected to be material in the short term for Magna, Galifi said. Over the longer-term, "the potential for revenues across the entire industry is significant," he added. Galifi said the Lyft investment was already incorporated into the company's 2018-2020 outlook. Magna, he said, knows how to build sensors and assemble engine control computers. "They know how to do electronics," he said. "They have the capability to design and develop vehicles and manufacture them." That can be paired with Lyft's service expertise, Abuelsamid added. Lyft, which is working to catch up to rival Uber in deploying autonomous vehicle technology, is pursuing a two-pronged approach. It is providing an open platform for manufacturers, such as Jaguar Land Rover and Ford Motor Co., to deploy their own autonomous vehicles for ride-sharing, while also building its own self-driving technology. The ride-hailing company has also inked partnerships with General Motors and Waymo before detailing its own autonomous vehicle efforts. Magna is working with a consortium made up of BMW, Intel and Mobileye to integrate their autonomous vehicle platform into automaker vehicles.